To fix quickly, two critical flaws in Internet Explorer and OneNote. Microsoft has released 41 patches for the month of August. The monthly updated Microsoft security fixes 41 vulnerabilities this month. Three of them are critical and could be used to execute code remotely. It is advisable to look first on the MS14-051 newsletter brings 29 fixes for Internet Explorer, advanced Wolfgang Kandek, CTO of security specialist Qualys. The flaws in question affect all currently supported web browser, IE6 - IE11 versions. Another particularly critical vulnerability (MS14-048) was found in the tool OneNote note-taking. It is the worst kind that is as it would allow an attacker to take control of the machine. Although part of Office, OneNote is not as widely used as other programs in the suite, Word, Excel, PowerPoint. However, companies that use it must immediately update warns Wolfgang Kandek. In Windows Media Center, a bug (MS14-043) could also allow remote code execution. Other products corrected in August include Windows, SharePoint and SQL Server. 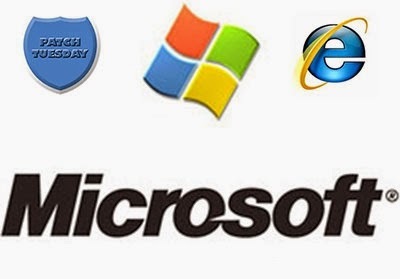 In recent weeks, Microsoft has taken steps to better secure IE. It has created mechanisms to block ActiveX applications and old insecure Java when the browser is Internet mode. A whitelist is nevertheless provided for businesses to leverage their web applications. There are some days, Microsoft has also announced that it would stop support some versions of IE. You can also use this Patch Tuesday to look at the two sets of patches supplied by Adobe for its Adobe Reader and Flash Player.